Photo: International Rice Research Institute. Creative Commons BY-NC-SA 2.0 (cropped). The recovery and acceleration of economic growth in sub-Saharan Africa since about 1995 has been widely recognised. But less is known about the extent to which this growth has led to improvements in welfare and poverty reduction in particular. In our recently published, open-access book, we attempt to provide a comprehensive assessment of growth and poverty on the sub-continent. We researched 16 detailed country case studies. Together, these represent nearly three-quarters of the population of sub-Saharan Africa. An important message from ten of the countries we looked at is that there are potentially high returns to policies that take agriculture seriously. Countries that place a particular emphasis on upgrading the capabilities of small-scale farmers are more likely to achieve broad-based development objectives. And failure to take agriculture seriously, particularly smallholder agriculture, will leave people behind. It will also drive up food prices and imports, and dim growth prospects. The Asian experience is instructive. The rapid economic ascents of China, Vietnam and others began in agriculture, with major contributions continuing for decades. Rapid agricultural growth helped rapid industrialisation by making food, the principal wage good, cheaper. This took place even as rural populations migrated to urban industrial zones. In Ethiopia, a similar story seems possible. There, a number of successful industrialisation efforts are following successes in agriculture. Our focus here is on the countries categorised within the first two groups and the role of agriculture. The first group comprised Ethiopia, Ghana, Malawi, Rwanda and Uganda. The second group consisted of Burkina Faso, Mozambique, Nigeria, Tanzania and Zambia. These two groups highlight the fundamental role agriculture plays in achieving broad-based economic growth and welfare gains. We found that in the first group an extended period of broad-based, and sometimes rapid, agricultural growth had been a substantial driver of growth and poverty reduction. Ethiopia is particularly interesting. It has explicitly pursued agricultural development-led industrialisation. The Ethiopia case chapter documents very strong efforts by the government to stimulate agriculture. One example of this commitment is the number of agricultural extension agents whose job is to hasten adoption of improved technologies and farming practices, mainly among smallholders. There were about 45,000 agents in 2010, compared with about 15,000 in 2000. This is one of the highest ratios of extension agents to farmers in the world. Ethiopia has also invested heavily in infrastructure, like roads and communications. This has resulted in an impressive increase in spatial connectivity. The length of roads more than doubled from 1993 to 2008, from an estimated 19,000 km to 44,300 km. Between 2000 and 2010 this reduced travel times between spread-out wholesale markets and the Addis Ababa wholesale market by 20% on average. In addition, mobile phone subscriptions rose exponentially, from 50,000 in 2003 to more than 10 million in 2011. For these and other reasons, real transportation costs fell by 50%. These and other efforts appear to be yielding fruit in terms of human welfare. Comparing data from the mid-1990s with the most recent array of indicators points to broad-based improvements. Headline monetary poverty rates — defined as those consuming below a basic needs poverty line — roughly halved, from about 50% of the population in 2000 to about 25% in 2011. Ethiopia remains a poor country by almost any measure and much remains to be accomplished. Yet real and often rapid gains have been registered in recent decades. The countries in the second group — those with relatively rapid growth and limited poverty reduction — provide an interesting counterpoint. Solid evidence of sustained and substantial growth in agriculture, particularly smallholder agriculture, does not present itself in any of them. In these cases, the substantial potential of agricultural production is broadly recognised and often accompanied by lots of policy rhetoric. In the cases of Burkina Faso, Mozambique, Nigeria and Tanzania, weak agricultural productivity growth is identified as an underlying factor to the relative stagnation of monetary poverty rates. These results highlight the importance of agricultural growth. More specifically, they emphasise productivity growth within smallholder agriculture. 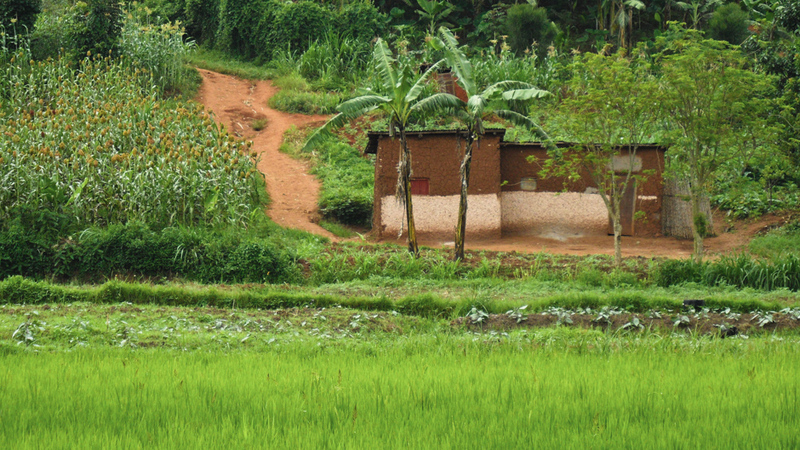 Agricultural productivity growth remains a powerful lever for achieving poverty reduction. This applies especially where large parts of the population are mired in low productivity subsistence agriculture. Exhortation to improve agricultural performance is not new. And historical experience indicates it is possible to waste substantial resources on poorly designed agricultural interventions. Even where there is relatively clear success, as in Ethiopia, it is difficult to know which sets of interventions contributed most. Plus, policies that work in one location may not yield the same results in a different place. Finally, agricultural development is certainly not the only element of a coherent development strategy. Prolonged and rapid growth in the sector, driven by increases in productivity, should be seen as critical to the industrialisation aspirations of the sub-continent. Done Sensibly, Agricultural Development Can Reduce Poverty in Africa by Channing Arndt, Finn Tarp, and Andy Mckay is licensed under a Creative Commons Attribution-NoDerivatives 4.0 International License. Permissions beyond the scope of this license may be available at The Conversation. Andy McKay researches on development economics, especially in relation to poverty/inequality and how these are impacted by policy (trade, fiscal etc. ); on labour issues including female employment and informality; on inclusive growth; on agriculture; and on international trade. In terms of genographic focus, he work predominantly on Africa, especially East and West Africa, and Vietnam. He supervises many PhD students on a range of development topics at Sussex. Andy was an associate director of the DFID-funded Chronic Poverty Research Centre (www.chronicpoverty.org) from 2005-11, and an active researcher from 2000-2011. He acts as a resource person for the biannual workshops of the African Economic Research Consortium (www.aercafrica.org), a role he has played since 2005, and served on the steering committee of a collaborative research project on growth-poverty reduction linkages in Africa. Andy has extensive experience of giving policy advice to bilateral donors including DFID, international organisations and governments of developing countries. He also has significant experience of giving short courses, especially for government employees, in the north and south. He has previously worked at the Universities of Nottingham (1992 to 2003) and Bath (2003 to 2006); as well as the Overseas Development Institute (2001 to 2005). He has also worked on many consultancy assignments. Professor Finn Tarp is the Director of the UNU World Institute for Development Economics Research (UNU-WIDER) and also Professor of Development Economics at the University of Copenhagen. He has some 38 years of experience in academic and applied development economics research and teaching. His field experience covers more than 20 years of in-country work in 35 countries across Africa and the developing world more generally, including longer-term assignments in Swaziland, Mozambique, Zimbabwe and Vietnam.